We’re suckers for Minerva movements. It’s not that they’re perfect (as well-documented in this tear-up review over at PuristS) but that they’re wonderfully handmade in a true classic way. Minerva was a little Swiss manufacture that went on about their business for 150 years before being snatched up by Richemont and made part of Montblanc. They only made a few movements in the classic era, but what they did produce ended up in some lovely watches. This all changed with a buyout in 2000 and the creation of new CAD-assisted versions of the classics, so it’s nice to see a true hand-made Minerva still out there. One of the best-remembered Minerva models was the Pythagore. It’s an instant classic, drawn up in 1943 by Minerva’s own Don Quixote, Andres Frey and produced right up to 2000. The proportions of the bridge work draw on Pythagoras’ “golden ratio”, making the movement lovely to behold. Assuming the seller is correct, this is a “new old stock” 1965 Minerva Pythagore. 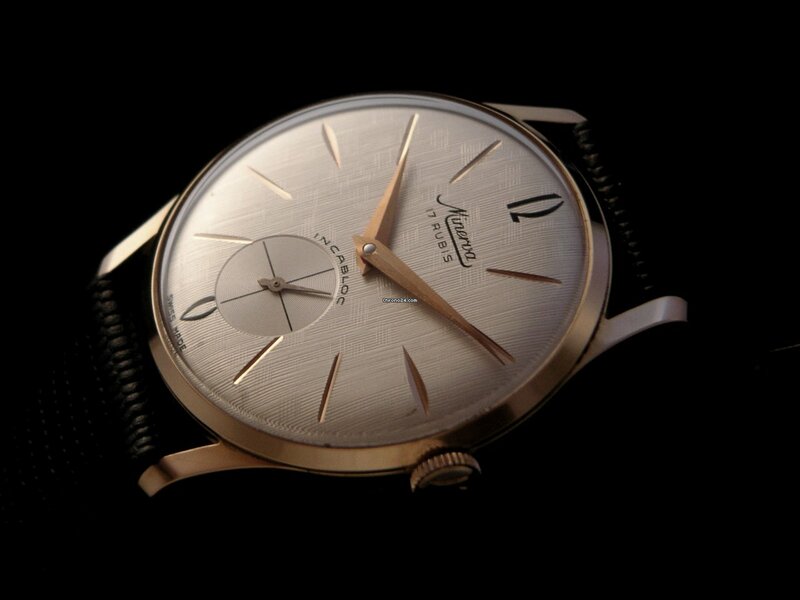 What a wonderful piece from the classic period of Swiss watchmaking! It’s good that the craftsmen in Villeret didn’t know what was coming just a few years later: The quartz crisis, the decimation of the Swiss watch industry, and a steady decline for their workshop. 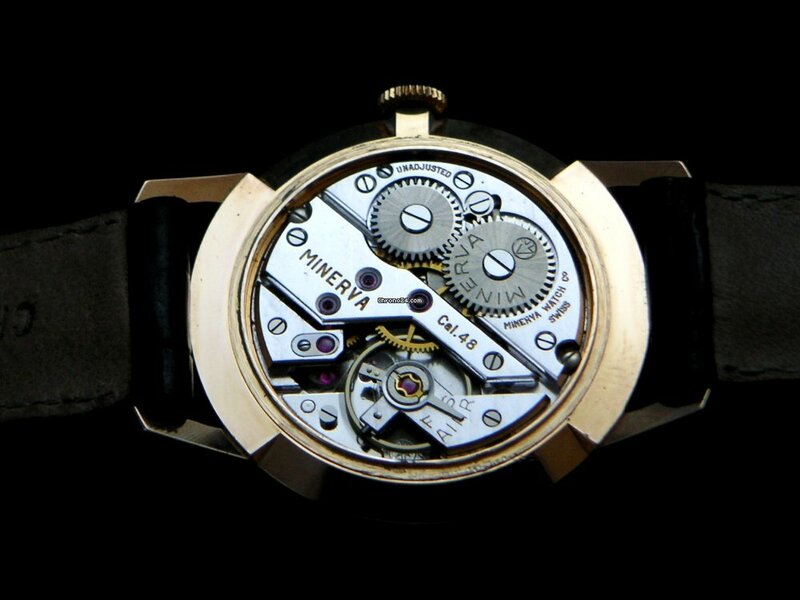 Inside, we see the famous “golden mean” bridges in the manual Calibre 48 movement. It’s too bad there’s not a display case back to allow the owner to enjoy this simple movement, but that wouldn’t become “a thing” for another 40 years! It’s available for just $1500 from this Chrono24 seller in Switzerland. 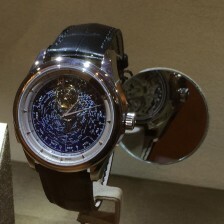 Indeed a nice watch, but also pretty expensive. It is not the most desirable dial. The movement made by André Frey is of-course stunning. Still there are manny watches for sale with this movement or the 49 (central second). All in different conditions.